Affected area and transit service enhancements. Major delays are expected on Line 761 and Line 233 traveling between Sherman Oaks and Westwood/UCLA due to anticipated congestion for the I-405 Weeekend Closure. 233 (Late Night/Early Morning Westwood Trips) 405 Fwy between Ventura Blvd. & 10 Fwy Southbound Only: Regular route to Ventura Blvd. and Kester Ave., then continue via Ventura Blvd. to (L) Sepulveda Blvd. to Herscher Way and regular route. 761 405 Fwy between Ventura Blvd. & 10 Fwy Southbound Only: Regular route to Ventura Blvd. and Kester Ave., then continue via Ventura Blvd. to (L) Sepulveda Blvd. to Herscher Way and regular route. After the jump, more info on LA Galaxy vs Real Madrid service, Metrolink, Amtrak, Big Blue Bus and additional tips for surviving Carmageddon without a car. Lines 204 & 754 (Vermont) between Wilshire/Vermont Station and Vermont/ML King Jr.
Line 81 (Figueroa) between 7th/Hill (near 7th St/Metro Center) and Figueroa/ML King Jr. Fans from the San Fernando Valley, Hollywood or Westside should travel via Metro Red/Purple Lines to Wilshire/Vermont, then transfer to Line 754 Southbound on Vermont Av (in front of Shell gas station). Fans traveling through Downtown LA should travel via Metro Red/Purple Lines to 7th St/Metro Center, then walk to Line 81 Southbound at Hill/7th or Flower/8th (in front of Subway restaurant). Regularly scheduled service will be in place on all other lines in the area, including Metro Silver Line. All lines around the Coliseum are subject to traffic related delays associated with the event. Metrolink will operate additional trains on the Antelope Valley Line and the Ventura County Line on July 16th and 17th to support the closure of the 405 freeway construction. The Ventura County Line schedule is the same on both days. The Antelope Valley Line schedules are different on Saturday and Sunday. Please see schedule details here. TIP: Purchase a Metrolink Weekend Pass for only $10. This pass allows a rider to ride anytime, anywhere system-wide from 7 p.m. on Friday through 11:59 p.m. on Sunday. 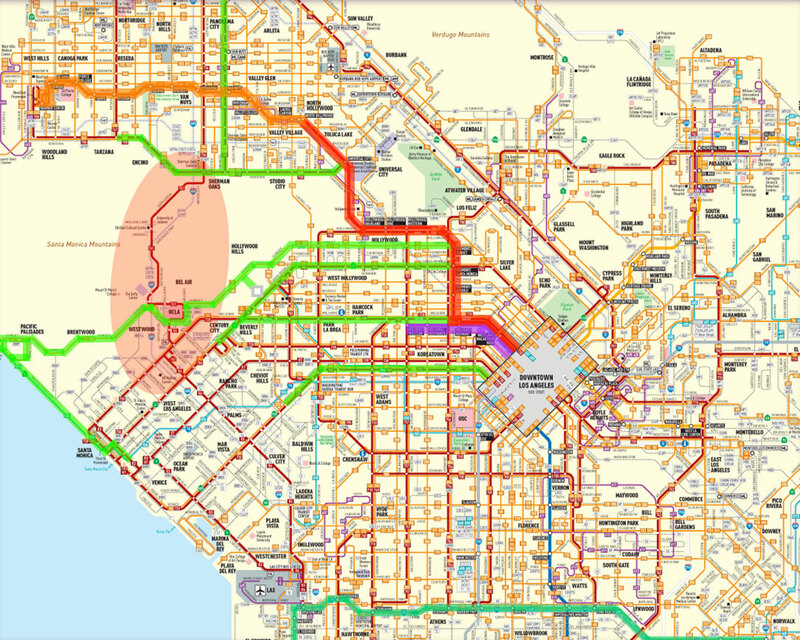 The Weekend Pass offers free connectivity to rail or bus throughout Southern California. For example, after you purchased your Weekend Pass and took Metrolink from Irvine to downtown LA, you can board the subway at Union Station and ride all the way to Hollywood and Highland for free! The $10 Weekend Pass is available for purchase through all Metrolink ticket vending machines (TVM) starting at 7 p.m. on Fridays. Amtrak California is offering Pacific Surfliner coach passengers a 50% discount on all trains traveling between Los Angeles Union Station (LAX) and Burbank Bob Hope Airport (BUR) Friday, July 15 through Sunday, July 17 only. With this limited time offer, the adult fare is just $3.00 each way. Plus – two kids (ages 2-15) can ride at the discounted price of $1.50 each way (per adult ticket purchased). To book your reservation, use the FARE FINDER on the home page (enter promo code X563) or call 1-800-USA-RAIL. Tickets can also be purchased at Amtrak staffed stations or from an Amtrak Quik-Trak or Metrolink TVM, or onboard the train by passengers boarding at Burbank Airport. Talk to a conductor. On Church Lane at Sepulveda or at Sunset Blvd. If safety officers ask BBB to reroute farther away from the construction site, service may be detoured at San Vicente and Gorham. For questions about BBB service this weekend, call Big Blue Bus Customer Service at (310) 451-5444. Traffic is going to be bad, prepare for delays on bus lines. Get real time bus arrival information using Nextrip or by calling 5-1-1. There is NO overnight rail service this weekend. Last trains generally end around midnight. Check timetables if traveling late. Click here for night owl bus service, many of which serve rail stations. Take advantage of some Destination Discounts if you are looking for something to do this weekend. But remember, most Discounts require showing a TAP card or rail ticket, so be aware if you are riding a free line. Of course, this weekend is a great opportunity to get a TAP card if you don’t already have one. Good job in this report, buutt Metro really needs better OWL service for events like this (and Holidays). Hopefully thats an idea that can come out of this. Carmageddon is an opportunity to encourage all Angelenos to try the bus. Bus fares should be free on all lines for the entire weekend. This may be just the event to convert more drivers into riders! Thanks for this post, it will really help a lot. I also agree that this will serve as a better opportunity for never-transit users to actually try it. I am curious though, why the 761 would be slower since sepulveda would only be open to residents therefore very few cars. Wouldn’t it be faster? @CDLESQ-metro has confirmed that all fares tomorrow & Sunday will be free. Will this event convert more vehicles drivers to transit? Doubt it-for all the increased service on Metro, they may be sitting in traffic like vehicle drivers who venture out and about over the weekend. Sitting in traffic on an overcrowded bus vs the comfort of one’s vehicle? I’d vote later and I can probably get to my destination quicker than waiting on late buses stuck in traffic. helping keep the drunks off the roads.